With so many options on the market it can be hard to find a window company that offers exactly what you want for your window replacement. At Valley Siding & Windows, we believe your input is an essential part of the process. From deciding what type of window you want, to selecting a glass package that works for you, to choosing a frame style, every detail is up to you. Valley Siding & Windows is committed to helping you get the windows you’ve always wanted. We offer a multitude of options and features for your window installation project so you can rest assured you’re getting the best windows possible. We offer several unique glass packages, from our standard self-cleaning Neat® Glass, to several variations of Low-E glass, to our SSP security glass. Choose one or mix and match for a custom window renovation. When it comes to the details of your window replacement, we leave the choice in your hands. We offer a variety of options to customize your window frames, grills, trim and shutters, including unique colours and shapes. Whatever style you’re looking to achieve, we offer the options you want. 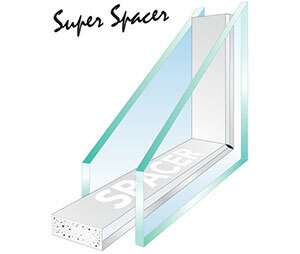 Our super spacer separates and seals the panes of glass. It insulates your windows and helps maintain a consistent temperature. 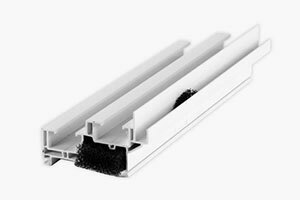 Valley Siding & Windows’s spacer is made of 100% polymer foam. Foam spacers are better at reducing noise, condensation and heat-transfer. In testing they’ve outperformed the industry standard, lasting a simulated 90 years! We believe small details can make all the difference. Our fly maze is a minor change that improves comfort and function. We insert a sponge-like material into the frame to prevent insects entering your home through the drainage openings in your window frame. This is a unique feature offered by few other window companies. Our decorative colonial coupler joins multiple windows together in style. With elegant curves, it’s a more attractive alternative to the basic couplers offered by competitors. Our standard proprietary glass stop further enhances the look of your windows.